The Newport Pavilion property was growing and needed to expand their parking lot to account for new business. This meant going into a hillside that would require a large retaining wall. 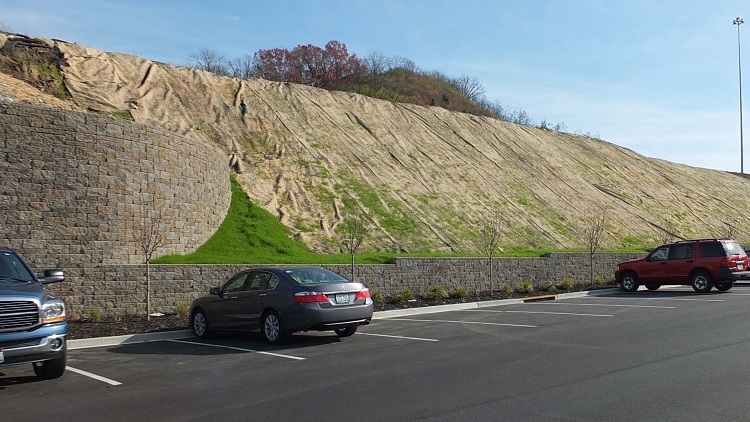 The owner wanted the Allan Block Europa for the segmental walls, and to save money, added a 1.5H:1V Vegetated Slope instead of a segmental block wall. 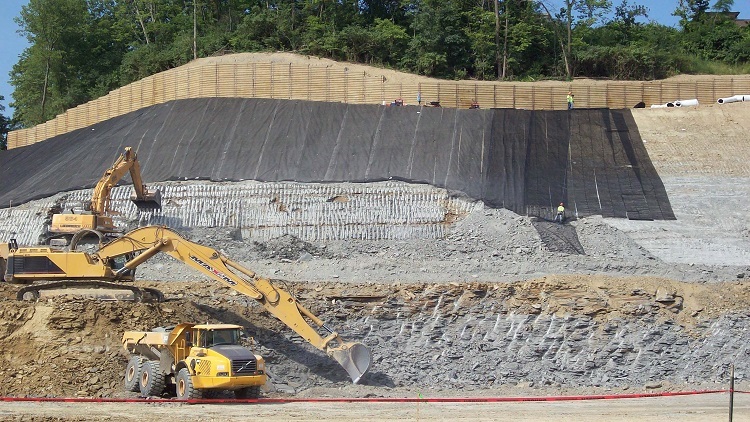 The Enkmat R45 is able to stabilize the slope and allow grass to grow over time. Structures had a strict tie-off safety plan in place that was site specific for this project. General Contractor: Cintech Construction, Inc.